Offshore RPO (Resource Process Outsourcing) services have gained significant credibility over the years. The fact that it works well for all size of businesses has earned it more takers. 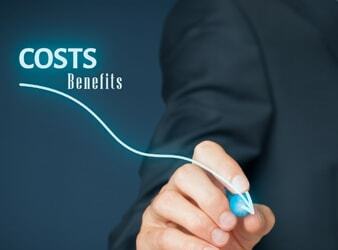 It is not unknown to organizations that the biggest advantage of hiring offshore RPO services is cost-saving. But that’s not all you can get out of an offshore RPO firm; there are other benefits as well. Let’s get into their details. Recruitment procedure for any organization requires a lot of time investment. From posting jobs, scanning candidates’ resumes and reaching out to them to conducting interviews and shortlisting the right candidates, consume too much time. Having an in-house HR department doesn’t help either because they have other functions to focus too, such as employee policies, benefits, and performance reviews. On the contrary, working with an offshore RPO company will let you save this important time because such RPO firms are experts when it comes to handling all the tasks related to a recruitment lifecycle. They can conduct the hiring process quickly saving your organization’s valuable time. A good team of employees equals to better results. But hiring the best talent is the most difficult thing to do. An offshore RPO team addresses this same problem efficiently. Offshore RPO firms have a qualified team of virtual recruiters who have a vast pool of candidates in their database. As recruitment is their main domain, they are well connected to the candidates across the world. Therefore, they can provide you with the most suitable talents based on your company requirements for both full-time and contractual positions. Moreover, they pre-screen these candidates as well, so you only get the best of the lot for the further selection process. An expert team of offshore recruiters will help you hire the most skilled personnel in your organization. The new additions to your existing team will bring improvement in the quality of work your organization does. Such continued efforts will only lead to greater productivity benefitting your business in the long term. With offshore RPO service providers, the otherwise complicated recruitment process becomes smooth. Apart from custom recruitment plans, offshore recruiters can provide you with accurate track records and real-time analytics of the recruitment process. Such metrics can help in assessing your recruitment strategies continuously based on the current hiring trends. So even if there are any loopholes in the current process, it can be improved in the future for better results. As an organization, your hiring requirements may keep fluctuating throughout the year. In such a scenario, it is not feasible to keep a huge team of in-house recruiters as it just adds the excess cost burden. Instead, associating with an offshore RPO company might actually prove to be the best option. The simple reason being such RPO firms have varied flexible plans that can be customized based on your hiring requirements. Whenever your company has multiple hiring needs, the offshore recruiters can tackle that efficiently. They readily take a back seat when your requirements are fulfilled. They can also help fill the urgent vacancies. So with offshore RPOs, you get easily scalable solutions.These are some of the other important benefits you can enjoy by getting an offshore RPO team on board.